“Excellent students” are the titles that Van Lang University awards for their students. This is the honor and motivation of many generations of students. 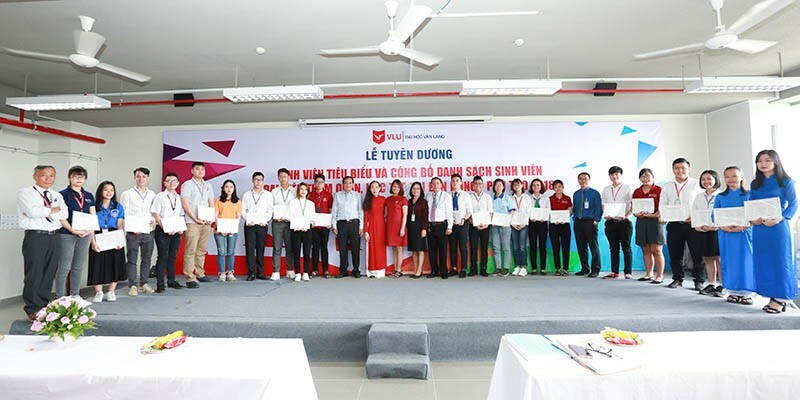 At the end of each school year, Van Lang University organizes the Ceremony of commendation for Excellent students and students with good result from all levels (classes, faculties and schools). "Excellent students" is intended for students in the second, third, and fourth years. Therefore, if any student make a great effort can more than one time be rewarded "Excellent students" at the school level. Follow the law and school regulations. Having achievements in the movement of culture, arts and sports. Participating or having scientific research achievements. According to the requirement, school will send the list of qualified students to each faculty. Each faculty organizes evaluation process at the class level, followed by faculty level and select 30% of the standard list and not more than 15% of the total number students of faculty. The Youth Union and Student Associations organizes meetings for Club, Group at the school level to select qualified students. School reviews student lists from faculties, clubs - teams - and finally announce the lists of awards. Representatives from school, faculties congratulate outstanding students in 2018. From the list of Excellent students at the school level, Van Lang University awards for the most outstanding students a 12-day journey to Hung Vuong temple. For 21 years, 21 student delegations left their footprint on the steps of Hung Temple. 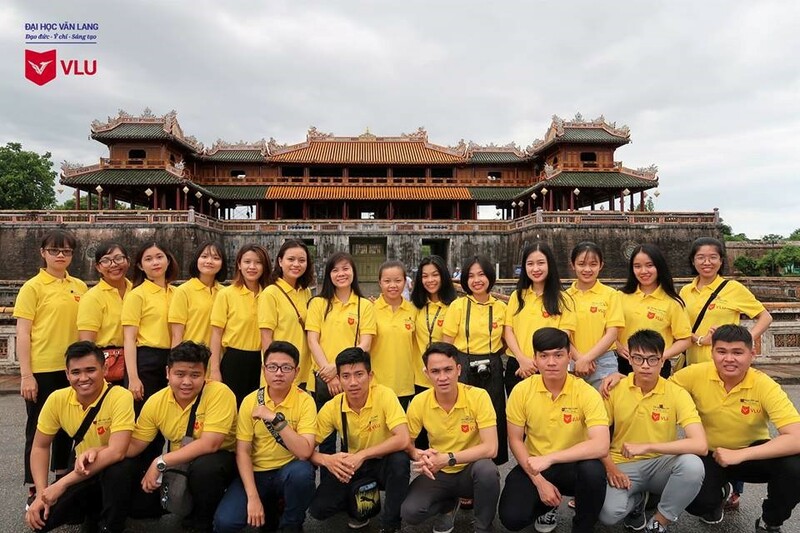 On August 18, 2018, 23 students visited and studied at the Hung Vuong Temple for the 21st time. Beside the general standards, one of the most important factor to be chosen as a typical student and receive the trip is the high level of trust from class and faculty. Each student can only take one trip. On the journey, the delegation will visit the scenic places and historical relics along the country, enjoy the food and cultural experiences of the region, participate in charity activities... For all of them, this is one of the most memorable memories of student time. Delegation visits Hung Temple in 2018, before Ngo Mon Gate - Hue city.